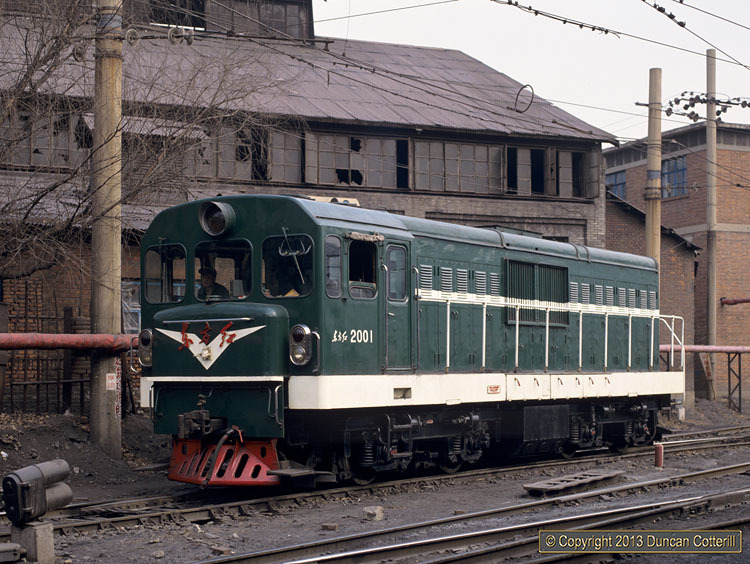 The DFH21 was produced in the 1970s as a narrow gauge version of the standard gauge DFH2 diesel-hydraulic B'-B'. However this picture shows a DFH21 on standard gauge bogies at Benxi Steelworks on 11 March 1992. It's likely that the loco's more compact design allowed it to reach parts of the works that were inaccessible to normal standard gauge diesels, helping to eliminate the PL2 and YJ class 2-6-2s that had disappeared by the time of our visit.